This product was added to our database on Monday 21 September 2009. On 2003 the Swiss Air Force retired the last Mirage IIIRS. 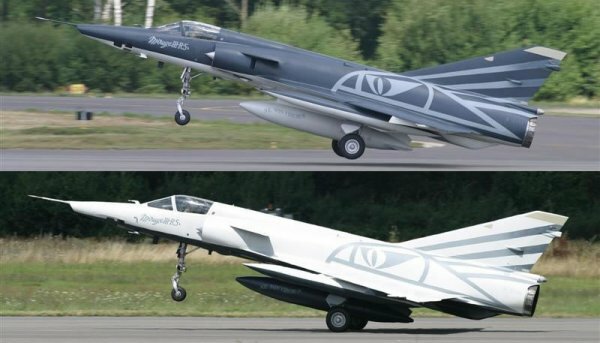 For this event the aircraft R-2110 and R-2116 received a same special medium grey scheme applied on mirror, one on Dark Grey background, the second on White/grey; each with negative colors on bottom side. The result was really fine during close formation flight or when they was on static display. First screen-printed decalsheets (classic decals). this decals set contain all the markings to make the two aircraft (R-2110 & R-2116).